I wrote this over a month ago but just realised I never published it, it's time for another update of favourites soon! I have so many unfinished posts, I really want to sort out the blog and get back to writing again but I say this often and struggle to find the time. I hope you have a happy Easter weekend, we are seeing family in London and I will be fitting in some much needed blog time where I can (like now while everyone else is still sleeping)! It's no secret that I have a bit of an obsession/addiction with accessories in general but especially necklaces. I do love a good statement number but I also have a large selection of dainty chains and all sorts of other styles. After living here for 2 years, I finally got my necklace cabinet made. I recently unpacked my necklaces so I now have my full collection again. I've done a little #necklaceoftheday series on Instagram from time to time but I decided this year I would try to wear more different ones so I decided to do a 365 project. I'm wearing a different one every day so they all get an airing and I don't just stick to my usual favourites. 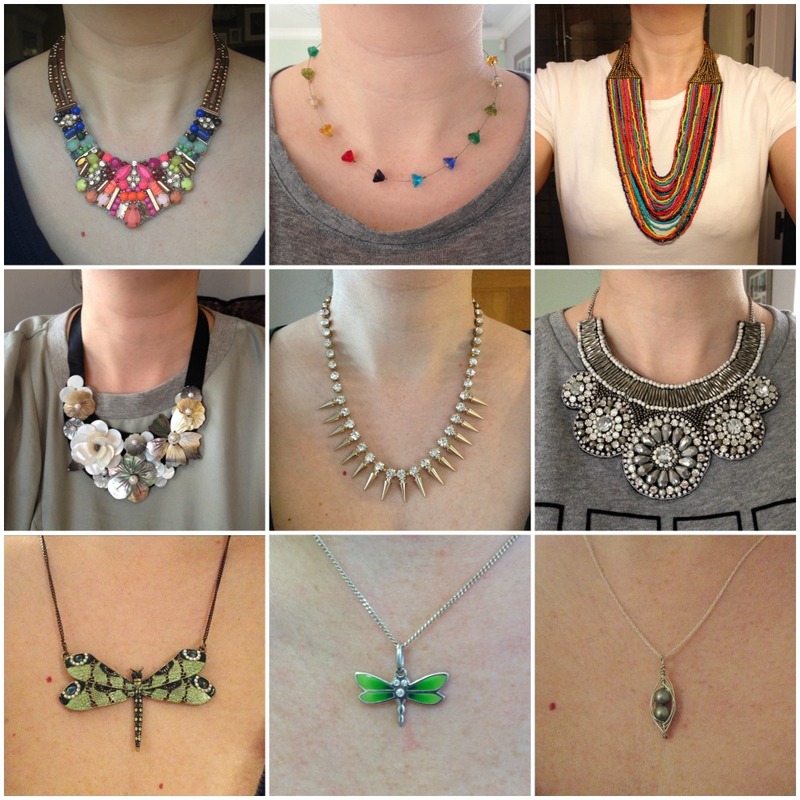 So far the colourful and statement pieces seem to be the most popular on Instagram with a few dragonflies of course! And I love this simple Nova pendant from Stella & Dot. Please do tell me what you think of my #necklace365 project. I wonder sometimes if people find it annoying having a necklace pop up every day on my feed (as Nik does). I love doing it though so won't be stopping, I was just considering making a separate account instead but it seems quite a few people like seeing them.